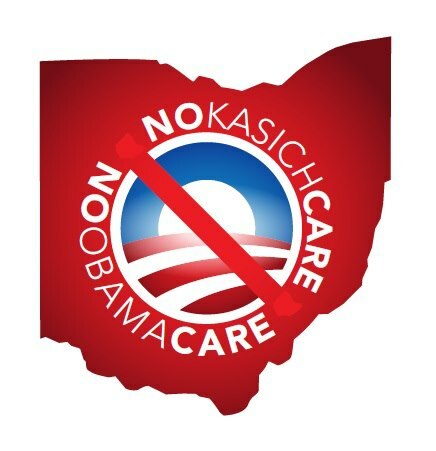 ← Ohio RTL’s President and Medicaid Expansion: Another RINO Caves? Some Republican representatives on the House Finance Committee have gone squishy or may be confused, maintaining Kasich’s proposal for voluntary Medicaid expansion in Ohio, aka KasichCare, is a complex issue requiring further study. Does the perplexity lie with the voters – or the Republican legislative majority and the governor? Voters have experience with politicians, campaign rhetoric, broken promises – and dodgy non-answer answers. Rep Pete Beck (OH-54), representing Butler and Warren Counties, is a member of the House Finance and Appropriations Committee. The committee will decide whether voluntary Medicaid expansion will be included in the state budget and whether it will pass out of committee to the House floor for a full vote. There were 13,146 Healthcare Freedom Amendment signatures collected in Warren County. In Warren County, the Healthcare Freedom Amendment passed with 76.67% in November 2011. 23.33% voted against. In Butler County, the HCFA passed with 71.93% of the vote. Rep. Beck could not be reached for comment regarding his position or vote on this critical issue for Ohioans. Still beating a dead horse, but… Ohioans unequivocally rejected Obamacare and the federal mandates by a 65.63% vote in November 2011 with passage of the Ohio Healthcare Freedom Amendment. The state constitutional amendment required a significantly higher threshold of signature gathering to place on the ballot. Ohioans have some serious skin in the game on this critical issue. Healthcare should be in the hands of doctors and patients – not bureaucrats in Columbus and DC. How will your representative vote – with constituents or with the Governor and expanding Obamacare in Ohio? Please share this story using Facebook, Twitter, and other social media. This entry was posted in Archives, State Politics and tagged Butler County, John Kasich, Obamacare, OH-54, Ohio House Finance Committee, Rep.Pete Beck, Stop KasichCare, Voluntary Medicaid expansion, Warren County Ohio. Bookmark the permalink.